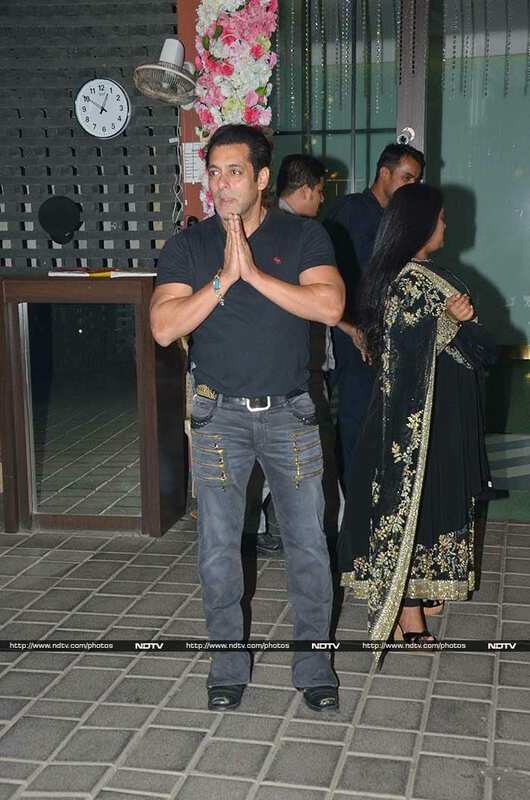 Salman Khan made sure he spent Diwali with his family. In the evening, he was pictured at sister Arpita Khan's Mumbai home with other members of his family. 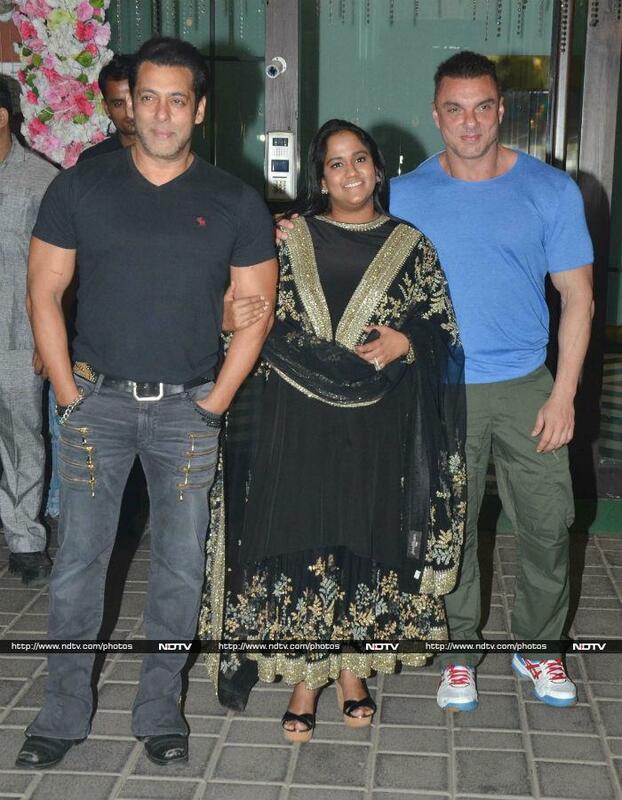 Salman, Arpita and brother Sohail posed for the cameras cheerfully. 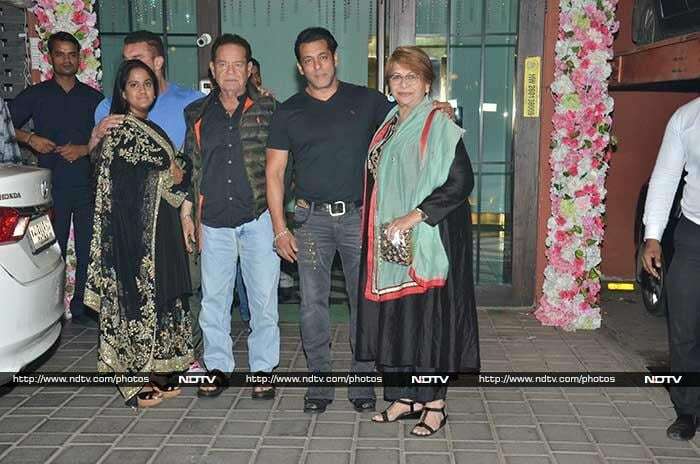 Salman, Arpita and Sohail also posed for a family picture with Salim Khan and Helen. Arbaaz Khan and rumoured girlfriend Georgia Andriani made a couple entry. Sohail's wife Seema exited the party with a friend. Arpita and Aayush played the perfect hosts. Here they have been clicked with son Ahil. Iulia Vantur was also there. From the friends circle, Arpita and Aayush invited Shilpa Shetty and her family. Shilpa picked out a pretty sari for the dinner. Jacqueline Fernandez wore a pista-coloured lehenga. Sonakshi Sinha looked beautiful in a yellow lehenga. Shabir Ahluwalia and wife Kanchi Kaul smiled for the paparazzi. Riteish Deshmukh was also invited.